The adventure starts with Cub Scouting, a year-round family program designed for boys and girls in kindergarten through 5th grades, or roughly 6 to 10 years of age. The program emphasizes shared leadership, learning about the community, family understanding, character development, citizenship training, and personal fitness. Children meet typically once a month for a den meeting (based on grade) and for a pack meeting (all kids, grades K-5.) Throughout the year, there are exciting overnight outings (accompanied by parents) at places like the Museum of Science, Battleship Cove, and Nobscot Reservation. Everyone work on age-appropriate achievements at home, and earn badges and pins which are awarded at pack meetings. Young ones grow up fast. Give your son or daughter a valuable gift by encouraging them to join Cub Scouting today. The time you invest today will make a difference in the person they become tomorrow. Pack 140 welcomes ALL kids and ALL families. 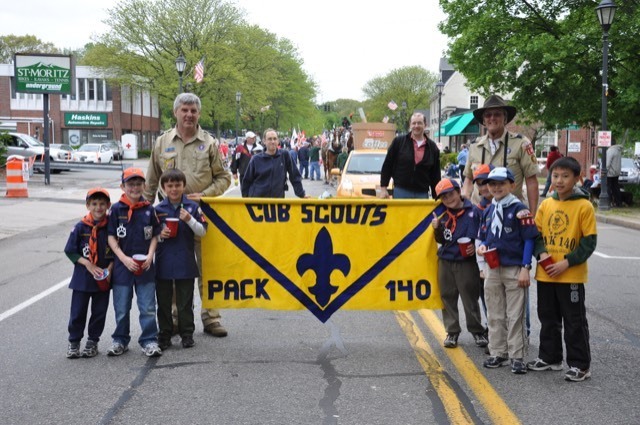 Cub Scout Pack 140 draws its members from schools throughout Wellesley.